Deb Gaines, was born, Debra Lee White in Schwabisch Hall, Germany on May 29, 1959 to Everett and Elizabeth Bleistiener White. 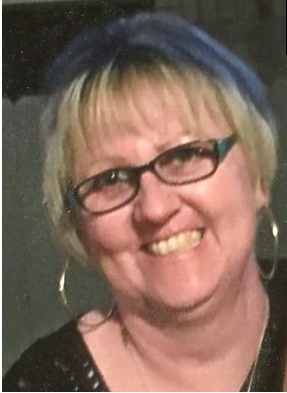 Deb passed away on Saturday, December 2, 2017, after a long hard fought battle with cancer. Funeral services will be held at 2:00 PM Monday, December 4th at the Cowboy Church of Erath County with Werth Mayes officiating. Burial will follow at Corinth Cemetery. Visitation will be 6:00 PM to 8:00 PM Sunday at the Cowboy Church of Erath County. Services will be done under the direction of Stephenville Funeral Home. On March 1, 1984 Deb married the love of her life and best friend, Donnel Gaines. They spent their lives working and playing together. With this marriage, Deb was blessed with two wonderful daughters, Courtney and Brooke, who she loved to say ‘they came with the farm’. Deb loved all her family who made this difficult journey easier. She loved her Erath Cowboy Church family as well. Deb grew up riding horses, and also working cattle, sheep and goats. She loved to rodeo and enjoyed being called a cowgirl. Deb mostly liked sitting on a good horse back. Deb worked in health care for most of her adult life. She went back to school, and pursued a career in physical therapy, and she loved her patients and people she worked with. Deb is survived by her husband, Donnel; daughters, Courtney Gaines of Austin, and Brooke Stone of Fort Worth; granddaughters, Taylor Stone and Olivia Gaines; sisters, Liz Roberts and husband Richard of Arlington, VA, Sylva Stokes of Gatesville, TX, Sandra McGath of Copperas Cove, TX, Patty White of Kempner, TX; brother, Randy White of Kempner, TX; sister-in-law, Vonetta Gaines, Penny Hallmark and husband Steve, Tammie Gibbs and husband Terry all of Stephenville; and numerous nieces and nephews. Special friends the Killingsworth family of Lampasas. Besides her parents, Deb was also preceded in death by her in-laws, Wilburn and Dean Gaines; nephew, Cameron White; and niece, Diana White. To send flowers to the family of Deb Lee Gaines (White), please visit our Heartfelt Sympathies Store.